It's a supplement from The Independent. I don't know how long we've had it, but inside it says that Ipswich Town are "currently riding high in the Premier league" so it's 2003 at the latest. 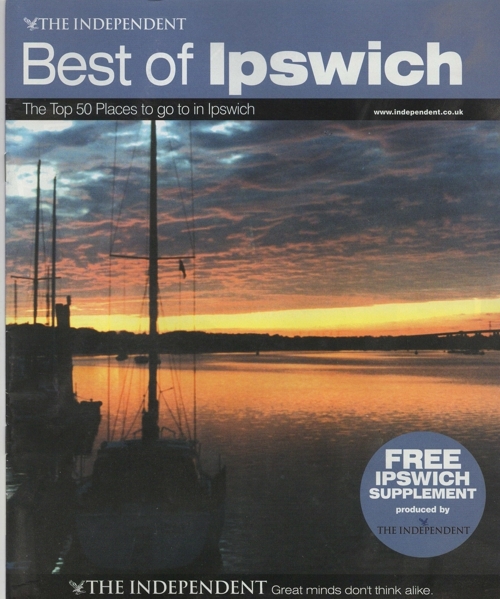 Needless to say, some of the attractions of Ipswich it lists aren't actually in Ipswich, although it does have a transport museum featuring tractors. I've now thrown out the supplement, anyway, in revenge for its getting dust on me.